UFO frontman Phil Mogg still misses bassist Pete Way, but says it’s not possible for them to work together. Way left the band after a series of health problems which are in part due to his hard-living lifestyle, and even though Mogg would love to have him back, he doesn’t think it will happen. UFO hit the road again in the spring, and Mogg says fans can expect a slightly different live show this time round. “There’s been feedback from people saying we play the same songs each year, so this time we’ll be adding a lick of paint to the setlist,” he reports. The full UFO article is featured in the latest edition of Classic Rock, dated January 2013 and on sale now. The issue is dedicated to The Best Of 2012: the ultimate review of the past 12 months. The new edition also includes a free 2013 calendar, Best of 2012 CD and features on the Rolling Stones, Duff McKagan and Nikki Sixx, Rush, Queensryche, Alice Cooper and much more. 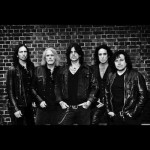 December 2012 sees the announcement of the new band formed by Thin Lizzy alumni Ricky Warwick (vocals), Scott Gorham (guitar), Damon Johnson (guitar), and Marco Mendoza (bass) with new addition Jimmy DeGrasso on drums (Alice Cooper, Megadeth, David Lee Roth, Suicidal Tendencies). The change in personnel came about as Brian Downey didn’t want to commit to the touring cycle a new album would entail and Darren Wharton wanted to concentrate on Dare and other music and film projects. 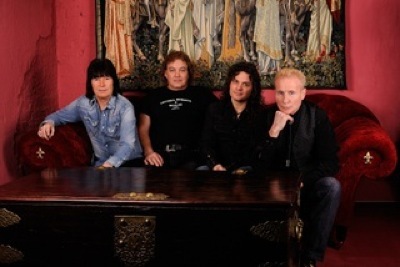 Black Star Riders is set to enter the studio in Los Angeles in January 2013 to start recording their debut album with the legendary Kevin Shirley (Led Zeppelin, Iron Maiden, Aerosmith, Rush). The album will feature material the band wrote whilst touring as Thin Lizzy and the sound retains that classic feel but is very much its own as well. The Black Star Riders record is the next step in the evolution of the Thin Lizzy story. 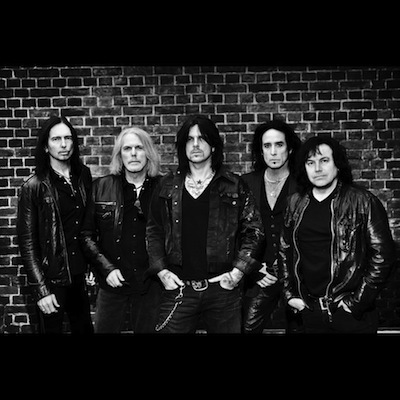 “We are all very excited about the music that we have created for Black Star Riders. The synergy between the five of us has been phenomenal and I can’t wait for the world to hear these songs,” says Ricky Warwick. The new, as yet untitled, album will be released in May 2013 through Nuclear Blast. Black Star Riders are one of the first bands signed by Monte Conner — the former Roadrunner A&R guru who has signed acts such as Slipknot, Machine Head, Sepultura and Rush. Conner recently joined Nuclear Blast as the president of Nuclear Blast Entertainment, a new U.S. partnership he co-founded with Nuclear Blast owner Markus Staiger. The band are looking to support their May album release with European festivals shows in the summer of 2013 and follow this up with worldwide touring. The set list will consist of material from the new album and classic Thin Lizzy material. For more information, please visit www.facebook.com/BlackStarRidersOfficial. 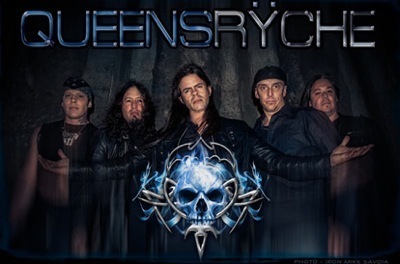 Ruben Mosqueda for Rock Confidential spoke with Queensryche drummer Scott Rockenfield. Portions of the interview appear below. Rock Confidential: Scott, it’s a pleasure to finally get you on the phone. I’ve been looking forward to it. I’ve been a fan going back to the Rage For Order record. I caught the second show you guys did as Rising West in Seattle last June. Some things have transpired since those shows took place. Geoff Tate is no longer in the band and you guys have elected to press forward with Todd La Torre on vocals. It also appears that amongst the Queensryche fan base there’s been a split; there’s the ‘Queensryche camp’ and the ‘Geoff Tate camp.’ I recently conducted an interview with Geoff (Tate) for Oregon Music News and I received an email from the person who handles the news feeds for a website of a major TV and radio personality that stated that they wouldn’t be running the interview due to the negative feedback that they had been receiving regarding Geoff Tate related coverage. What’s your take on the fan reaction to the split? Scott Rockenfield: I know the fans are rabid, passionate and very protective of the band. I’ve even received ‘hate mail’ and I’m a fan like them. It’s been a major shake-up for Queensryche in the last year. The fans have seen this transpire…here’s where we’re at as a band. Michael (Wilton), Eddie (Jackson) and I are the three main corporate owners in our ‘Queensryche Corporation’ so to speak. Ever since things started to go in ‘not such a good’ way back at the beginning of the year, we had to make some decisions and move on. We did that. We did that under the guise that we were the majority owners of the corporation and that we wanted to continue doing what is best for Queensryche. To us ‘the best thing’ for Queensryche is promoting the brand of Queensryche; making music, playing shows, giving the fans and our audience what they have come to expect from us. We wanted to do that and have ‘fun’ doing it. That’s a long story condensed very short so we can get to the point. That’s what we’ve done and that’s where we’re at now. Our fans are sitting back and seeing what is going on and they get to pick and choose what they want to do. The fortunate thing for us Ruben is that we’ve carried on and the support around the world by our fans; whether they are old-time fans or new fans or whatever it is has been extremely overwhelming. The fans are supporting us. They continue to support us and they are praising all of the shows that we’ve done and they are looking forward to the ones that are coming up. They are also eagerly looking forward to the new record that we’ve just started recording as of last week. We hope to have it out in the first quarter of next year. Listen, for us it basically business as usual. We’ve put aside what we’ve had to deal with in the past eight months and we’re moving on with business. What is business? Business is pushing Queensryche and promoting that. Is there a kettle of stirred up stuff going on out there? Yeah there is, for sure. For us it best not to focus on that stuff rather focus on what we do best and that is to continue what we started out doing 30 years ago; which is Queensryche. I think the defining factor at the end of the day, whether it comes to playing our shows or making a new record, the deciding factor will be the fans. If you don’t have the fans’ support you’re not going to have anything. Thank goodness that we are blessed that the fans have really supported us, so much so that we’ve been able to continue to do what we’ve always wanted to do – be ourselves, make music and play shows. Rock Confidential: How involved is each member in the songwriting process and how does it differ from previous writing sessions? Scott Rockenfield: That’s a great question! I have a great answer! That’s exactly why we’re excited and there’s all this enthusiasm behind the new album. We’re finally…let me back up. Unfortunately, over the course of the past, many records that we’ve done hasn’t been a complete ‘band’ effort. We’ve run into a lot of conflicts of musical tastes or directions that we should take. I think the band has suffered because of it. It was something that wasn’t always done with the music always in mind. That’s why a lot of this has transpired and turned into what it did and we had to move on. Our goal has always been for Queensryche to this particular type of band. One thing we wanted to do was to revisit what that was and that to us is what made Queensryche – our classic material. Why were we so excited then? Let’s find that ‘excitement’ again. We wanted to do that for a while but we haven’t been able to do that. We weren’t ‘allowed’ to do that is probably a better way to put it. In a nutshell that’s what we’re doing. So to answer your question, all five of us – Michael, Parker, Eddie, Todd and I are all writing the material. It’s a huge collective effort. We’re all playing the material and then with “Jimbo” in the fold as our producer and engineer – he’s like the sixth member of the band. The chemistry level is huge and that’s something that we haven’t had in a while. I think that’s what the fans are excited about and the anticipation is so high. Having said that—it’s a hell of a lot of pressure! Whatever, we’ll get through it! (laughs) We’re having a lot of fun. Last week in the studio was really a lot of fun. Rock Confidential: How would you describe the direction that you’re going with the new music and album? 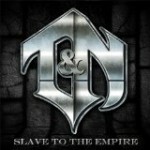 Progressive, contemporary rock influences, ‘classic’ era Queensryche? Or perhaps none of the above? Scott Rockenfield: That’s a great selection of choices that you’ve given me to pick: A,B, or C. I think the best way for me to describe it is that it’s in a ‘progressive/hard rock’ direction. “Jimbo” described it really well when we were in the studio last week. We were immersed in it really working hard and brainstorming; driving the ship home so to speak. He said, “I think you guys have combined your first five records into what you’re doing now.” So that’s from our EP all the way through Promised Land, which coincidentally was the last record that we worked on with “Jimbo.” So I think if you stuck all of those records into a musical blender and you’d get an idea of what the music we’re working right now sounds like. There are elements from all of those records that have made it on to the new music. I think that’s a good way to describe it. We have wanted to revisit this great history of ours that we just haven’t been able to do for a while. We have great lyric content, great songs, great melodies and great performances by us; the song crafters and mechanics behind it all. I could go on forever about it because I’m so excited about it. I could play it for you right now on my speakers but afterward I’d have to kill you! (laughs). In time for 21/12 celebrations, on December 18th, 2012, Universal Music Enterprises (UMe) will release the Deluxe Editions of Rush’s 1976 platinum-selling, landmark album 2112 in three different configurations: 2112: Deluxe Edition (CD/DVD and CD/Blu-Ray) and a special Super Deluxe Edition (CD/Blu-Ray/Hardbound book case). The deluxe editions contain a CD/DVD or CD/Blu-Ray material including the remastered 2112 CD with three live bonus tracks and a DVD or Blu-ray™ disc with a 5.1 surround sound audio mix and an interactive digital comic book, a new album cover by original album designer Hugh Syme, liner notes and unpublished photos. The super deluxe contains the CD/Blu-Ray and is meticulously assembled in a hardbound bookcase packed with a 40-page comic book representing every song on 2112. Originally released in 1976, Rush’s epic, landmark release 2112 was their creative and commercial breakthrough as well as one of the band’s most highly regarded releases among both fans and critics alike. 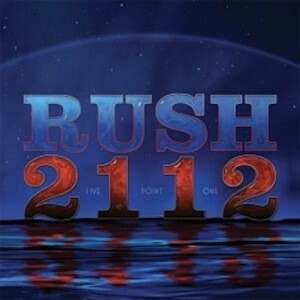 With lyrics written by Neil Peart, and influenced by author Ayn Rand, 2112 kicks off with the ambitious seven-suite title track (side one), set in a futuristic world run by the Priests of the Temples of Syrinx who regulate “every single facet of every life,” which includes books, music, work and play. 2112 conveys the story of humanity’s instinctual, inner need for one’s free will. After the mythological journey through 2112, side two brings you back to the present and continues with five stand-alone tracks. From hard-rocking tracks such as A Passage to Bangkok,Lessons, and a trip to into the fourth dimension with The Twilight Zone, to the album’s soaring conclusion, Something For Nothing, 2112 is the album that ushered in the next stage in their continuing evolution as artists. – Digital Comic Book – experience the comic book formatted for widescreen televisions during playback of the album. -Photo Gallery – unreleased photos and handwritten lyrics by Neil Peart. 2 Disc: CD + BLU-RAY version contained in hardbound book case. Housed in a hardbound book with a 40 page comic book by story artist Tom Hodges (Star Wars The Clone Wars, The Simpson’s Treehouse of Horrors #17) and a 24 page book with expanded artwork, liner notes, lyrics and unreleased photos. New liner notes written by David Fricke, Rolling Stone. 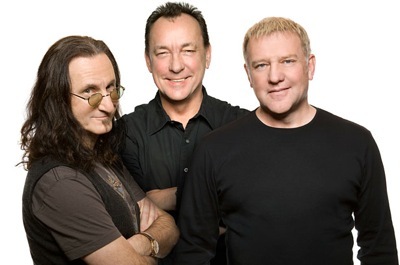 After more than a decade of irate rants and enthusiastic lobbying from fans, Rush is finally a member of the Rock and Roll Hall of Fame. The Canadian trio will be inducted into the hall on April 18th along with Heart, singer-songwriter-pianist Randy Newman, rap group Public Enemy, the late disco queen Donna Summer and blues guitarist Albert King. Label executive and music impresario Lou Adler and producer-arranger-composer Quincy Jones are headed as Ahmet Ertegun Award — aka non-performer — honorees. Red Hot Chili Peppers bassist Flea, inducted with the hall’s last class, announced the awards Dec. 11th at the Nokia Theater where the induction ceremony will be held next year. It is the first time in 20 years since the festivities have been held in L.A.; it will again be open to the public and aired on HBO on May 18th. This year’s class represents the first time fans have been allowed to participate in the selection process and it’s little surprise that Rush is the big winner. More than any other act’s fan base — with the possible exception of KISS — Rush fans have created online petitions, Facebook pages and websites to push for the band’s induction. Lifeson told Billboard earlier this year that the slight has been mitigated by that dedication. Public Enemy, in its first year of eligibility, becomes the fourth rap act to enter the hall, following Grandmaster Flash and the Furious Five, Run-D.M.C. and the Beastie Boys. The New York rap group debuted on record in 1987 with Yo! Bum Rush the Show and followed it up with the landmark It Takes a Nation of Millions to Hold Us Back. Voted the best album of 1988 in the Village Voice’s Pazz & Jop poll of critics, it peaked at No. 42 on the Billboard 200. Heart, which appeared on the ballot for the first time last year, has had a particularly active year. Ann and Nancy Wilson published a joint biography,Kicking and Screaming: A Story of Heart, Soul and Rock & Roll; released a new album, Fanatic; and maintained an active touring schedule that continues from January through March, in the U.S. and Canada. Summer, who died in May, gets in on the sixth time her name appeared on the ballot. King, whose single-string, bent-note approach to the electric guitar was a significant influence on Jimi Hendrix, Eric Clapton and Stevie Ray Vaughan, is best known for Born Under a Bad Sign from 1967. Newman, whose debut was released in 1968, wrote uniquely caustic and insightful pop songs in the ’60s and ’70s before devoting most of his time to film work. Nominees who did not make the cut this year include the Paul Butterfield Blues Band, Chic, Deep Purple, the Meters and N.W.A. There was some belief among voting insiders that the presence of two rap groups — from opposite coasts — would split the votes and neither would get in. While the album widely acknowledged as their debut, Straight Outta Compton, came out in 1988, a compilation of their singles was issued a year earlier making them eligible for the class of 2013.